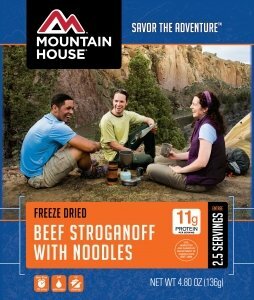 For day trips to week-long expeditions in the backcountry, your backpacking food needs to be nourishing, strengthening and revitalizing. So that despite being out of the house you stay healthy & fueled. Without the appropriate nourishment, your hike could ruin or can leave you weak. Get something easy to prepare, light to carry, healthy & delicious food for your trips. In fact, you can pack perishable foods because they are comparatively lightweight and full of nutrients. Nuts and trail mixes are the best food for backpacking. They contain a great deal of carbohydrates, protein and fat. Popular choices: Planters Nuts & Chocolate, Tropical Fruit Trail Mix, Turtle Chex Mix, Almonds, Cashews. The most nutritious trail foods ever, although they are low in calories. Full of natural energy, plus micro-nutrients, fiber and antioxidants. Popular choices: Raisins, Craisins, Dried Apricots, Banana Chips, Dried Apples, Prunes, Dates, Dried Cherries, Walnuts, Pecans, Peanuts, pumpkin seeds, sunflower seeds, Dried Cranberries. Protein foods require refrigeration. But there are many other high protein foods you can take on the trip. 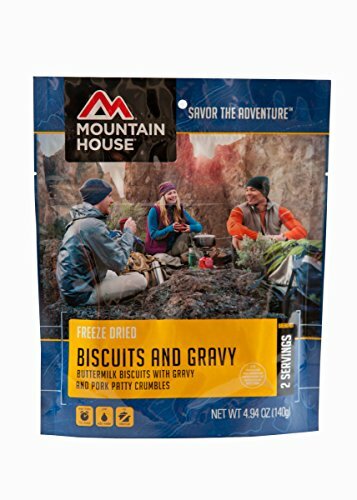 Popular choices: Beef Jerky, Slim Jim Meat Sticks, Summer Sausage, Tuna pouches, Chicken, Cheese Sticks, Whey Protein Powder, Quest Protein Bars, freeze-dried beans and rice. You can make quick hot or cold breakfast adding cereal, oatmeal and porridge in the meal. A packaged breakfast cereal is significantly more suitable than a thing that had to be cooked. Popular choices: Apple Cinnamon Cheerios, Cookie Crisp, Reese’s Peanut Butter Puffs, Rice Chex, Honey Bunches of Oats with Almonds, Cap’n Crunch and Crunch Berries, Corn Flakes, Frosted Flakes. Chips or other salty snacks are the low calories, lightweight and flavor food for backpackers. Popular choices: Goldfish Crackers, Cheez-it Crackers, Fritos Corn Chips, Cheetos, Caramel Popcorn, pretzels, Flaxseed-and-Onion Crackers. When you begin to hit, nothing gets you to the crest of the mountain faster than a shot of sugar. Candies also provide the great basis of energy in the form of simple carbohydrates. Popular choices: Snickers Bar, M&Ms, Welchs Fruit Snacks, Grandmas Cookies, Pop Tarts, Honey Buns, Starbust, Jolly rancher, Haribo, Tootsie. An energy bar is the right supplement when you don’t have time for a meal. It’s convenient and on-the-go snack. Popular choices: Clif Bar, PowerBar, Kind Bar, Larabar, Granola Bar, Bear Valley Pemmican, Carob-Cocoa, Larabar Cinnamon Roll, Kellogg’s Nutri Grain. Generally, we systematize our meals by day; Breakfast, lunch, dinner and evening snack. Sometimes you don’t want to go through the method of unpacking, cooking, cleaning up, and repacking. Just boil water and add it to freeze-dried or dehydrated foods. And enjoy your ready to eat meals. 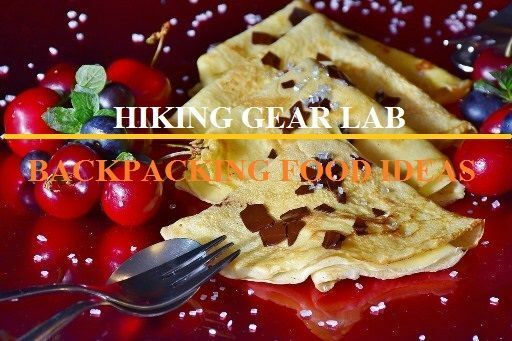 Below is a list of the best backpacking food ideas. Oatmeal Packets – The best thing about Oatmeal is that they just need hot boiling water. Grits – It’s a nice addition to mix up your meal. It is simmered till it becomes soft and creamy. Dried Fruits – Eating dried fruit is linked with better health. Also gives many of the important minerals, vitamins and fiber. Dried fruit is an easy snack to pack, especially for hiking! Nuts and Seeds – There are numerous ranges of nuts as well. Peanuts, cashews, sunflower seeds, almonds, pistachios, walnuts and pumpkin seeds are the examples. And they are tasty, solid calories, protein, fat and oils. Meats – A lot of dried meats like the hard-dry salami are full of fat, which increases your calories per ounce. Cheese – However, cheese can be heavy for some backpackers, but it’s rich in calories and fat. And you should add this food in your meal. Tortillas – Tortillas is the best food to make wraps, instead of bulky and fluffy bread. Bagels – Bagels have fat, calories, carbohydrates, fiber & proteins. For extra nutrients and fiber, opt for whole-grain bagels rolled in seeds. Crackers – High in carbohydrates and sodium and baked food typically from the floor. Instant Rice – There are also innumerable rice selections with special seasonings. 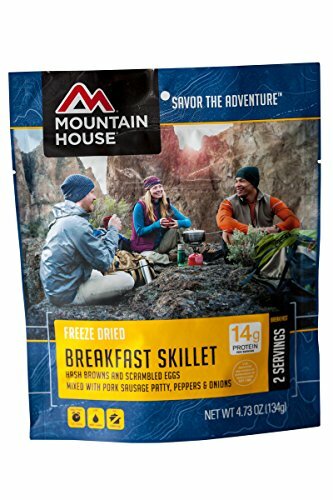 Instant Potatoes – Amazing backpacking meal with carbohydrates and sodium. Just add meat, oil or spices and enjoy the taste. Dried Veggies – You can add dried veggies to noodles, rice, couscous or potatoes. To tickle your taste bud. Lentils – Lentils are an olden superfood rich in calories, protein, fiber and Iron. 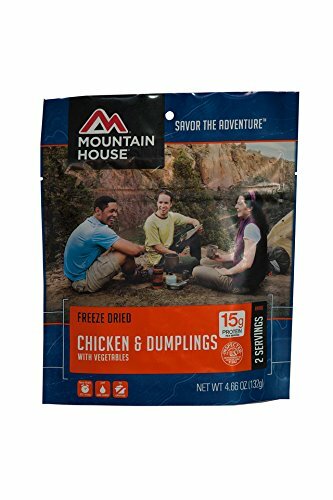 Freeze Dried Meals – For dried meals, just boiling water is needed. Then you can enjoy your meal again. Chews and gummies – Chews have a gummy/ candy-like consistency. The variety is to provide – caffeine, electrolytes, etc. Granola Bar – Ready to eat and generally high in nutrition. Protein bars, energy bars, snack bars, nutrition bars, food bars. Hummus – Not very famous food but Like peanut butter, it can be lathered on almost anything. Hummus is tasty, rich in calories, carbs, protein and fiber. Tabs – Great source to boost hydration. It tastes good. Drop a tab in your water and watch it bubble away. 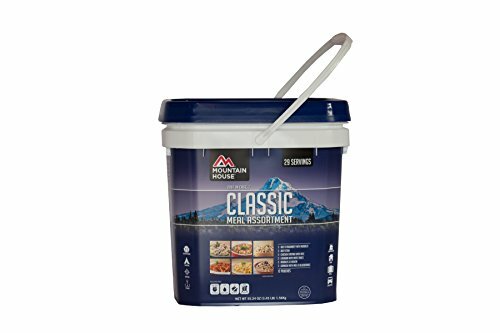 Powder Mixes – Similar to Tab. But in the powder, you can get a variety of flavors. Take those foodstuffs that deliver the most calories for the volume you have to pack. Find campsites near water. So that you can eat frozen, dried or powdered foods which you can mix with water. 1 – 2 pounds per day is generally sufficient food to meet your caloric needs. But, in colder weather, you’ll burn several calories to stay warm. So be aware and pack food accordingly. Carry food in small amounts in sealable baggies. Rather than carrying in an original or heavy container. This idea can cut down on weight and garbage. And you can use those bags for other uses as well. You can carry some fruits and veggies to the trail. Try to eat that first to avoid weight and before getting spoil. Pack enough food for your planned trip, An extra cold meal just by chance you run into a delay in getting out, or run out of fuel. For your pre-cooked items, you also need to carry a backpacking stove to cook your meals. And to save the fuel cover your cooking pot while cooking. Avoid too much chocolaty food items like snacks for energy bars as they can melt and make a mess. Accidents and breakdowns do happen. Make sure you have proper nutrition if cooking is out of the question. Also, avoid overindulging in general during the day. Just eat enough to keep your energy levels up. Avoid spices or spicy food to get your stomach all in knots. Store garlic cloves, onion, spiced oil, hot mustard, and dried salsa in a small plastic container. Don’t snack regularly on chips, candy and chocolate. Try to eat a balanced diet on the hike. Avoid meals that are cluttered or prolonged to arrange. Store food away from you and don’t spill the food to avoid hungry animals. Never sleep with food especially aromatic food in your gazebo. Hang it on a tree or store in a beer canister. Liquid Fuel Stoves: As its name specifies, liquid fuel stoves unite to a refillable fuel container. And naturally, use white gas. Nonetheless, there are other energy options available. Alternative-Fuel Stoves: Many homes are heated by alternative techniques. Such as wood bit, many camping, and hiking stoves are appearing on the market that also this fuel. Canister Stoves: Canister stoves are possibly one of the easiest stoves to utilize. Once the top is bolted onto the pre-pressurized canister, you are all ready to make a hot meal. These stoves can use propane or butane as a fuel source for a barbeque. Before going to hike, the main thing is to write out a menu for each and every meal you’ll be eating, or carrying including snacks! These picks are absolute once you hit the track, so it’s essential to prepare for further. Keep in mind to drink water after each and every meal while living outdoors. Stick to healthy and tasty food while enjoying the trail, because healthy food supplies enough energy to fill each with adventure. Whereas things like weather, wildlife, and other facets of the natural world may not be expected, well-planned meals won’t ever let a hiker down.